FOM funds Valorisation projects to encourage the valorisation of the scientific research it supports within the university workgroups. This prize has been awarded annually; the prize money is € 250,000. 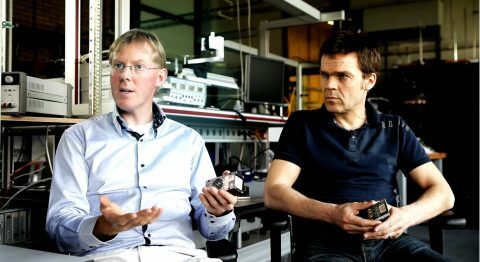 The prize is a reward for researchers who have successfully made new knowledge useful for society. FOM encourages PhDs to include a chapter in their theses about the opportunities and possibilities for valorising their research. 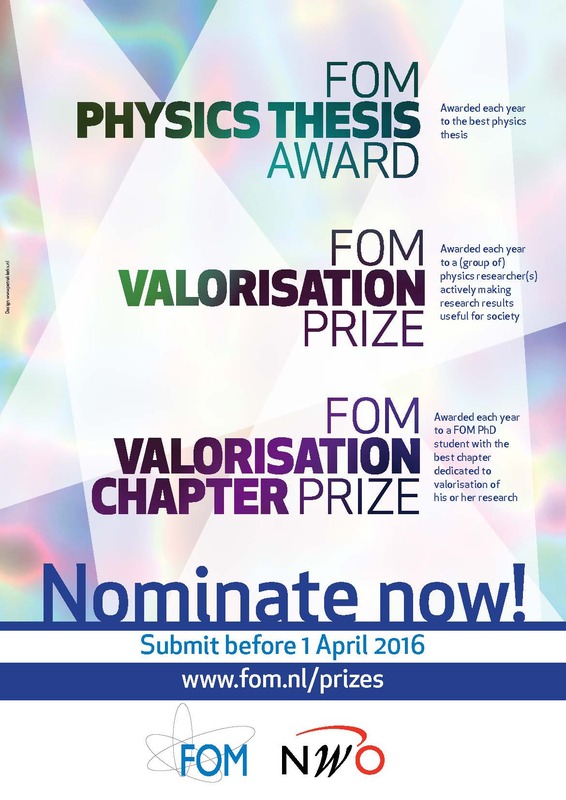 Since 2010, FOM has awarded a prize of € 5,000 for the thesis with the best valorisation chapter. Once a year, FOM organises a valorisation training course for its PhDs. The aim of this course is to make PhDs aware of the importance, value and opportunities that scientific knowledge offers for applications. Information about this training course and the planned data can be found through Special courses for trainee researchers. You can also contact Jeroen van Houwelingen, telephone +31 30 600 12 17. The nominations for the FOM Prizes 2016 could be submitted until 1 April 2016.